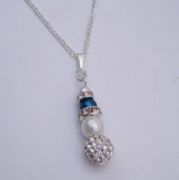 Hen Party Necklaces are perfect to use as Hen Party Gifts that can be worn on the Hen Night. Lots of different styles to choose from. The Hen Party Necklaces would make a lovely keepsake gift. 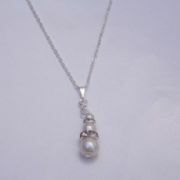 Bride Necklaces - Charm Style, available in different chain lengths. Lovely Charm Necklace Gift Idea. 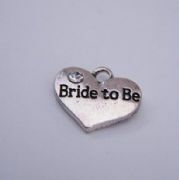 Bride To Be Necklaces - Charm Style, available in different chain lengths. Lovely Charm Necklace Gift Idea. Bridesmaid Initial Necklaces - Charm Style, available in different chain lengths. Beautiful Initial Charm Necklace Gift Idea. 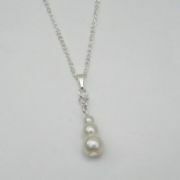 Bridesmaid Necklaces - Charm Style, available in different chain lengths. Lovely Charm Necklace Gift Idea. Clear Sparkle Swirl Heart Initial Necklaces - Charm Style, available in different chain lengths. Beautiful Initial Charm Necklace Gift Idea. Clear Sparkle Swirl Heart Necklaces - Charm Style, available in different chain lengths. Lovely Charm Necklace Gift Idea. 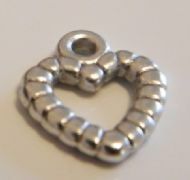 Detailed Heart Necklaces - Charm Style, available in different chain lengths. Lovely Charm Necklace Gift Idea. Flower Girl Initial Necklaces - Charm Style, available in different chain lengths. Beautiful Initial Charm Necklace Gift Idea. Flower Girl Necklaces - Charm Style, available in different chain lengths. Lovely Charm Necklace Gift Idea. Initial Necklaces - Charm Style, available in different chain lengths. Lovely Charm Necklace Gift Idea. Maid Of Honour Initial Necklaces - Charm Style, available in different chain lengths. Beautiful Initial Charm Necklace Gift Idea. Maid Of Honour Necklaces - Charm Style, available in different chain lengths. Lovely Charm Necklace Gift Idea. Matron Of Honour Initial Necklaces - Charm Style, available in different chain lengths. Beautiful Initial Charm Necklace Gift Idea. Matron Of Honour Necklaces - Charm Style, available in different chain lengths. Lovely Charm Necklace Gift Idea. Mother Of The Bride Necklaces - Charm Style, available in different chain lengths. Lovely Charm Necklace Gift Idea. Mother Of The Groom Necklaces - Charm Style, available in different chain lengths. Lovely Charm Necklace Gift Idea. Pink Sparkle Swirl Heart Initial Necklaces - Charm Style, available in different chain lengths. Beautiful Initial Charm Necklace Gift Idea. Pink Sparkle Swirl Heart Necklaces - Charm Style, available in different chain lengths. Lovely Charm Necklace Gift Idea. Princess Crown Necklaces - Charm Style, available in different chain lengths. Lovely Charm Necklace Gift Idea. 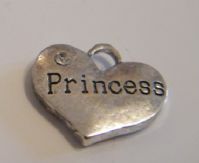 Princess Heart Necklaces - Charm Style, available in different chain lengths. Lovely Charm Necklace Gift Idea. Mother Of The Bride Initial Necklaces - Charm Style, available in different chain lengths. Beautiful Initial Charm Necklace Gift Idea. Mother Of The Groom Initial Necklaces - Charm Style, available in different chain lengths. Beautiful Initial Charm Necklace Gift Idea. Purple Sparkle Swirl Heart Initial Necklaces - Charm Style, available in different chain lengths. Beautiful Initial Charm Necklace Gift Idea. Purple Sparkle Swirl Heart Necklaces - Charm Style, available in different chain lengths. Lovely Charm Necklace Gift Idea. Red Sparkle Swirl Heart Initial Necklaces - Charm Style, available in different chain lengths. Beautiful Initial Charm Necklace Gift Idea. Red Sparkle Swirl Heart Necklaces - Charm Style, available in different chain lengths. 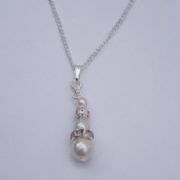 Lovely Charm Necklace Gift Idea. Small Clear Sparkle Heart Initial Necklaces - Charm Style, available in different chain lengths. Beautiful Initial Charm Necklace Gift Idea. Special Friend Initial Necklaces - Charm Style, available in different chain lengths. Beautiful Initial Charm Necklace Gift Idea. 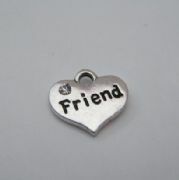 Special Friend Necklaces - Charm Style, available in different chain lengths. Lovely Charm Necklace Gift Idea. Star Outline Necklaces - Charm Style, available in different chain lengths. Lovely Charm Necklace Gift Idea. Butterfly C Initial Necklaces - Charm Style, available in different chain lengths. Beautiful Initial Charm Necklace Gift Idea. Butterfly C Necklaces - Charm Style, available in different chain lengths. Lovely Charm Necklace Gift Idea. Chief Bridesmaid Initial Necklaces - Charm Style, available in different chain lengths. Beautiful Initial Charm Necklace Gift Idea. Detailed Heart Initial Necklaces - Charm Style, available in different chain lengths. Beautiful Initial Charm Necklace Gift Idea. Four Leaf Clover Necklaces - Charm Style, available in different chain lengths. Lovely Charm Necklace Gift Idea. Friend Necklaces - Charm Style, available in different chain lengths. Lovely Charm Necklace Gift Idea. Mini Star Initial Necklaces - Charm Style, available in different chain lengths. Beautiful Initial Charm Necklace Gift Idea. Mini Star Necklaces - Charm Style, available in different chain lengths. Lovely Charm Necklace Gift Idea. Bride Initial Necklaces - Charm Style, available in different chain lengths. Beautiful Initial Charm Necklace Gift Idea. Bride To Be Initial Necklaces - Charm Style, available in different chain lengths. Beautiful Initial Charm Necklace Gift Idea. 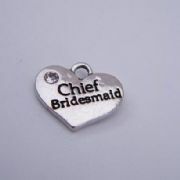 Chief Bridesmaid Necklaces - Charm Style, available in different chain lengths. Lovely Charm Necklace Gift Idea. Four Leaf Clover Initial Necklaces - Charm Style, available in different chain lengths. Beautiful Initial Charm Necklace Gift Idea. Friend Initial Necklaces - Charm Style, available in different chain lengths. Beautiful Initial Charm Necklace Gift Idea. 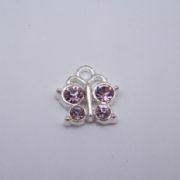 Pink Sparkle Butterfly Necklaces - Charm Style, available in different chain lengths. Lovely Charm Necklace Gift Idea. Princess Heart Initial Necklaces - Charm Style, available in different chain lengths. Beautiful Initial Charm Necklace Gift Idea. Small Clear Sparkle Heart Necklaces - Charm Style, available in different chain lengths. Lovely Charm Necklace Gift Idea. Small Heart Initial Necklaces - Charm Style, available in different chain lengths. Beautiful Initial Charm Necklace Gift Idea. Pink Sparkle Butterfly Initial Necklaces - Charm Style, available in different chain lengths. Beautiful Initial Charm Necklace Gift Idea. Princess Crown Initial Necklaces - Charm Style, available in different chain lengths. Beautiful Initial Charm Necklace Gift Idea. Small Heart Necklaces - Charm Style, available in different chain lengths. 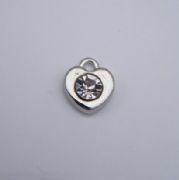 Lovely Charm Necklace Gift Idea. Star Outline Initial Necklaces - Charm Style, available in different chain lengths. Beautiful Initial Charm Necklace Gift Idea.